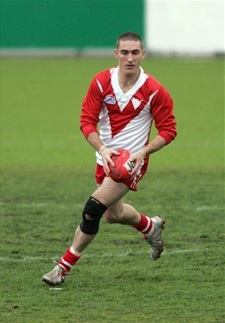 Gavin Cooney is one of the Clarence Roos’ favourite sons and was a key player in their platinum era of the 1990s and 2000s. He played 314 senior games for the club and also represented Tasmania when the state league was at its peak. Cooney was one of the Roos’ best midfielders in an era when they had a plethora of stars. He played from 1989 until 2006 and then returned for his swan song in 2009. Cooney enjoyed premierships in 1993, 1994, 1996, 1997 and 2000 in the original Tasmanian State League.